Original unframed watercolor, depicting the grand opening of Holtzman Art Gallery, Atlantic City, NJ. The gallery was located within the historic Claridge Hotel, and recently moved to Margate City. 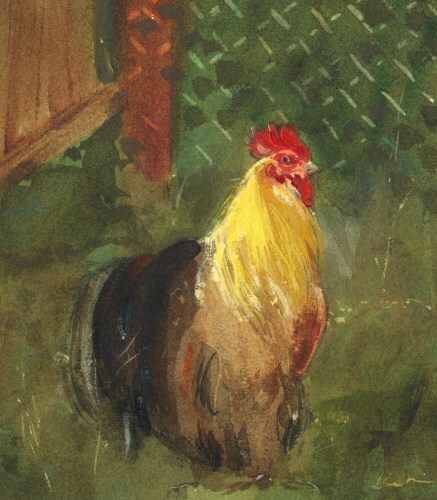 Original unframed watercolor, folk art flag sign at entrance to Beach Plum Farm in idyllic West Cape May. 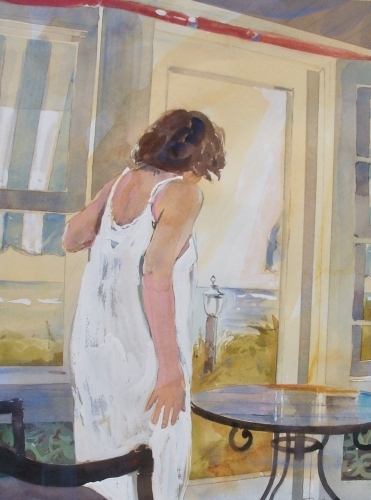 Original unframed watercolor, a new day looking out to the Delaware Bay. 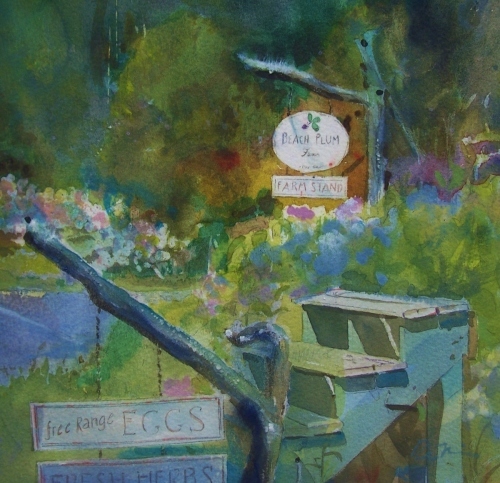 Original unframed watercolor, quaint farm stand at entrance to Beach Plum Farm in historic West Cape May. 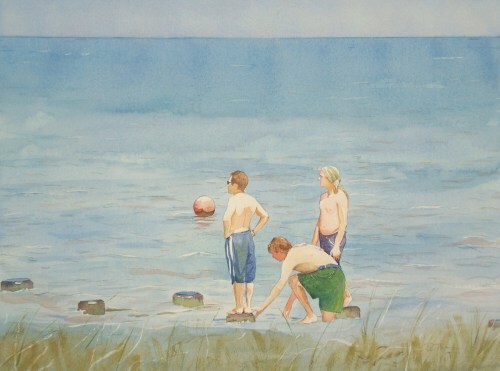 Original unframed watercolor, sandy road to Reeds Beach. 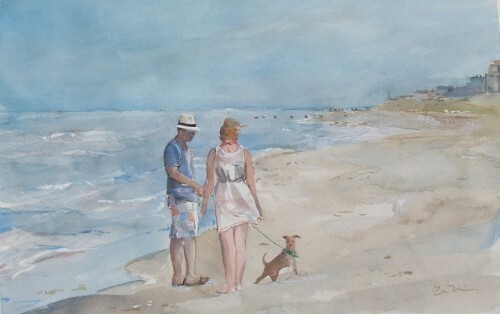 Original unframed watercolor, strollers enjoying New Jersey's Delaware Bay. 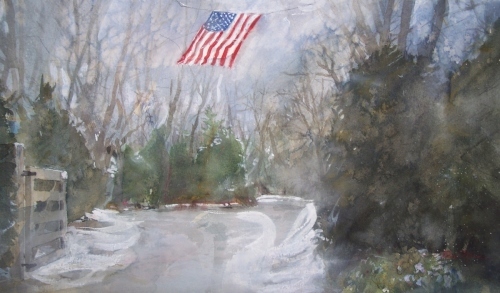 Selected for inclusion in juried exhibition at the Historic Fishing Creek School, Lower Township, NJ. 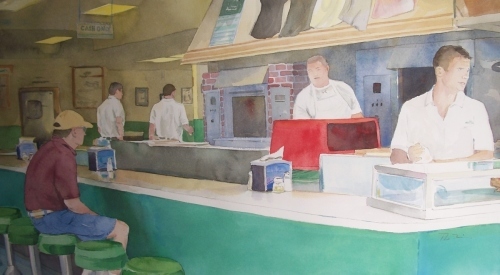 Original unframed watercolor, popular boardwalk pizzeria in Ocean City, NJ. 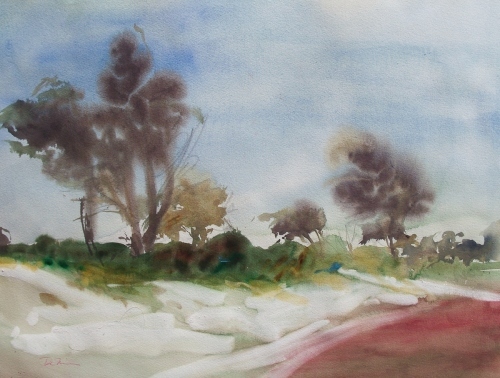 Original unframed watercolor, bluff after summer storm. 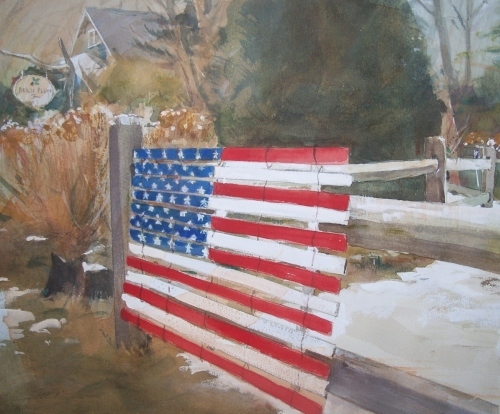 Original unframed watercolor, iconic flag flapping to mark entryway to Beach Plum Farm. 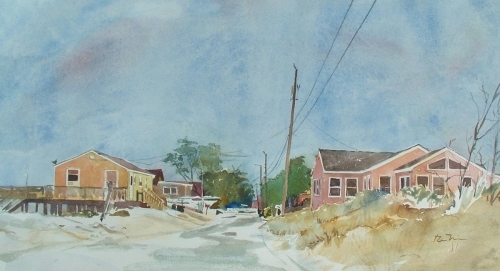 Original unframed watercolor, panoramic view of West Cape May's Beach Plum Farm. 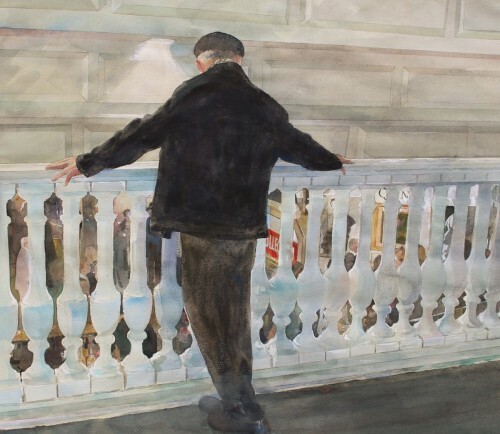 Original unframed watercolor, panoramic view of West Cape May's winery entryway. 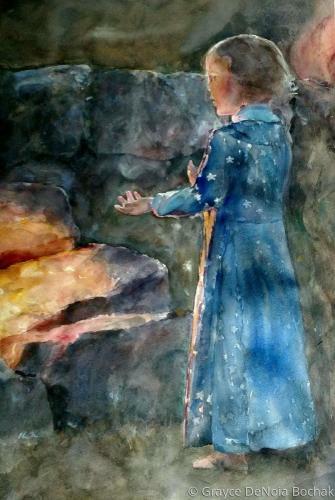 Original unframed watercolor influenced by the song “Let it Be”. Captured is a fleeting moment of spirit connection at the fire-pit within a Southern New Jersey campground settlement.